Mortgage brokers are already reporting a surge of calls from borrowers trying to take advantage of the Federal Reserve's extraordinary actions this week. WASHINGTON — Homeowners around the country are scrambling to refinance their mortgages at the lowest rates since the early 1960s as the economy staggers through what's likely to be the worst recession in decades. The central bank, aiming to free up lending and jolt the economy back to life, on Tuesday cut the federal funds rate from 1 percent to a target range of zero to 0.25 percent and pledged to keep funneling money into the market for mortgage investments. On Wednesday, some mortgage brokers were quoting mortgage rates of close to 4.5 percent for people with strong credit and hefty down payments. "This is beautiful, oh my gosh!" 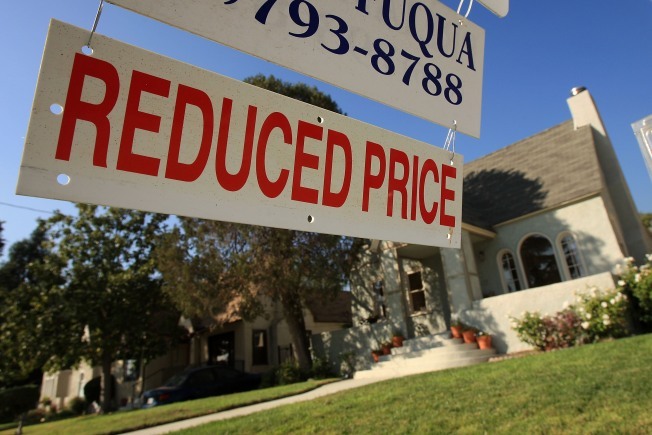 said Patti Mazzara, a mortgage broker in the Minneapolis suburb of Edina, who was surprised when she looked up rates and found them well below 5 percent, down at least three-quarters of a percentage point from earlier in the week. "This is a whole new game now. Hopefully it's going to give people some relief." The national average rate on 30-year, fixed mortgages was 5.06 percent on Wednesday, according to financial publisher HSH Associates — the lowest since the 1960s and down from 5.3 percent Tuesday. It was the best news in months for anyone looking to lock in a 30-year, fixed-rate mortgage. But it was not expected to be a cure-all, and borrowers already in danger of foreclosure probably won't be able to take advantage. Analysts say the Fed's moves to buy up mortgage debt are designed to reduce the an unusually large difference, or spread, between mortgage rates and yields on government debt. In recent years, there has been about a 1.8 percentage point difference between the yield on a 10-year Treasury note and 30-year mortgage rates, but gap currently hovers around 3 percentage points. Falling interest rates mean Americans could suddenly find billions of extra dollars in their pockets at a time when consumers have sharply cut back on spending amid rising unemployment and declining household wealth. But many experts believe that the interest rate cuts alone won't be enough to jump-start the economy. Meanwhile, government data to be released Thursday is expected to show that new claims for unemployment benefits dropped last week but remain near a 26-year high, and a monthly forecast of economic activity is forecast to fall for the second straight month in November, in two signs of a deepening recession. The Labor Department's tally of initial jobless benefit claims for the week ending Dec. 13 is expected to drop by 15,000 to a seasonally adjusted level of 558,000, according to a survey of Wall Street economists by Thomson Reuters. Last week, the government said claims jumped by almost 50,000 to 573,000, the highest level since 1982, though the labor force has grown by about half since then. Later in the morning, the New York-based Conference Board's index of leading economic indicators is expected to fall 0.5 percent, according to the consensus estimate of economists surveyed by Thomson Reuters. The index posted a 0.8 percent decline in October. The index is designed to forecast economic activity in the next three to six months based on 10 economic components, including stock prices, building permits and initial claims for unemployment benefits. And Freddie Mac, the mortgage company, is also scheduled to release its weekly survey of mortgage rates Thursday. Wall Street stocks finished moderately lower Wednesday, as further signs of economic deterioration dampened investors' earlier enthusiasm about the Fed's record interest rate cut.